Yesterday we announced that my wedding was featured in the Spring/Summer 2018 issue of Weddingbells Magazine... but we are actually featured twice! 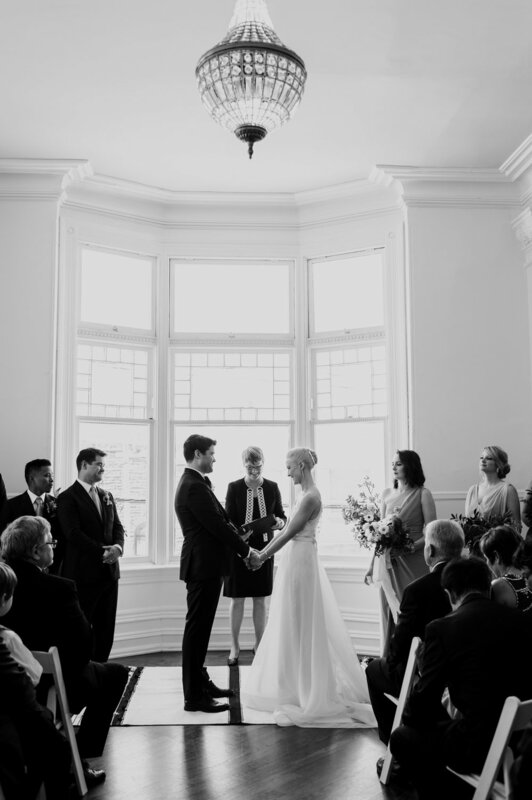 Jen and Andrew's ultra modern and minimalist wedding was also featured! 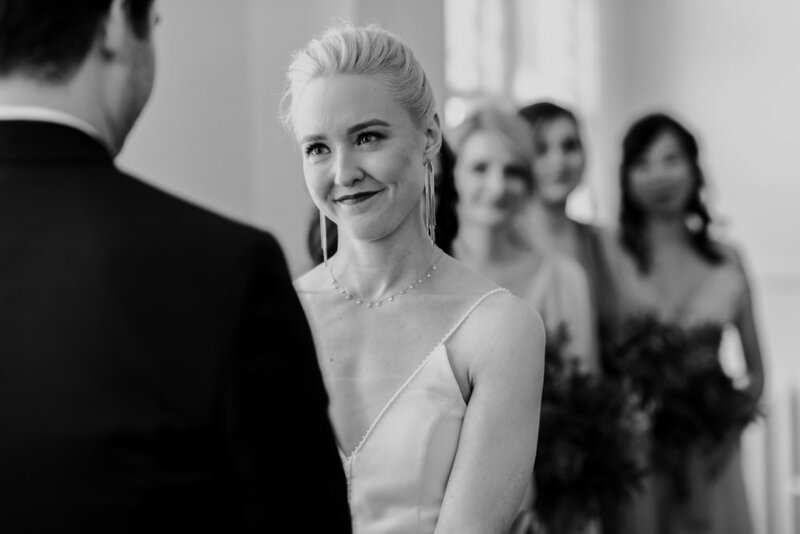 When I first met the bride, Jen, at a wedding show, I distinctively remembered how perfectly platinum blonde her hair was. If her hair was any indication of how cool she was, I knew this bride's wedding would be nothing short of that level of coolness. 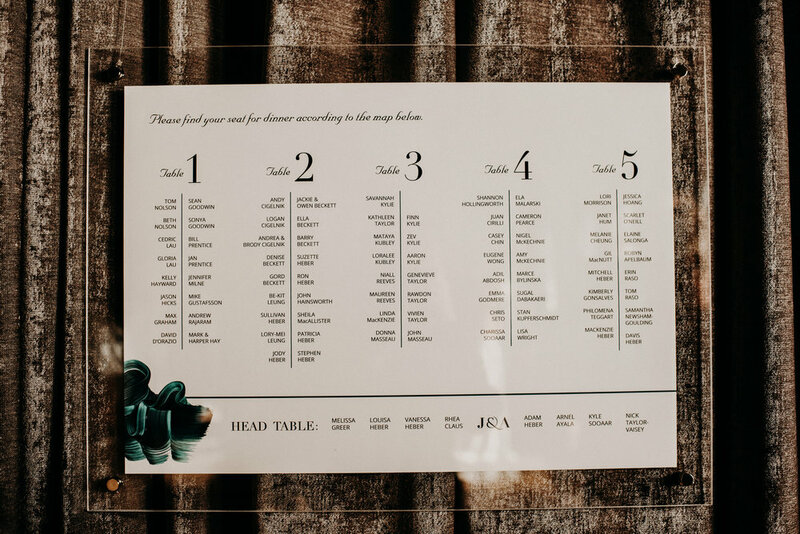 Jen always had a clear direction on how she wanted her wedding, giving me endless visual inspiration in colour swatches and photos of home decor (made sense as she worked for a home magazine). It was such a pleasure to work with her as she was open to brainstorming with me on how to meticulously bring her vision to life. 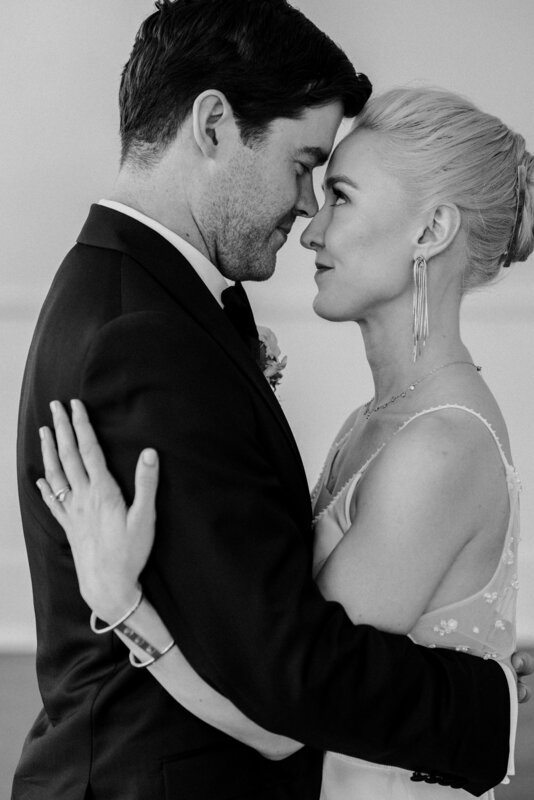 We brought on the best of the best with Scarlet O'Neill who captured this beautiful day and their engagement. 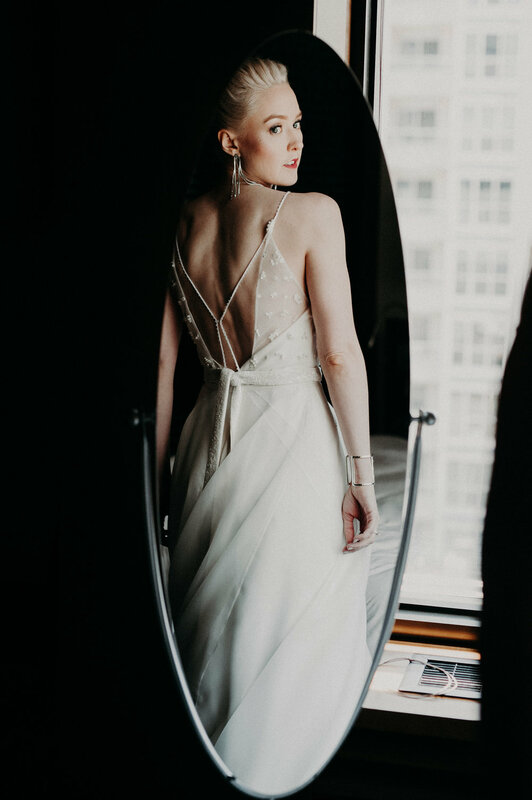 Catherine Langlois custom designed the perfect gown for Jen. She definitely looked out of this world... a mix of sci-fi and an angel in the utmost wonderful way. 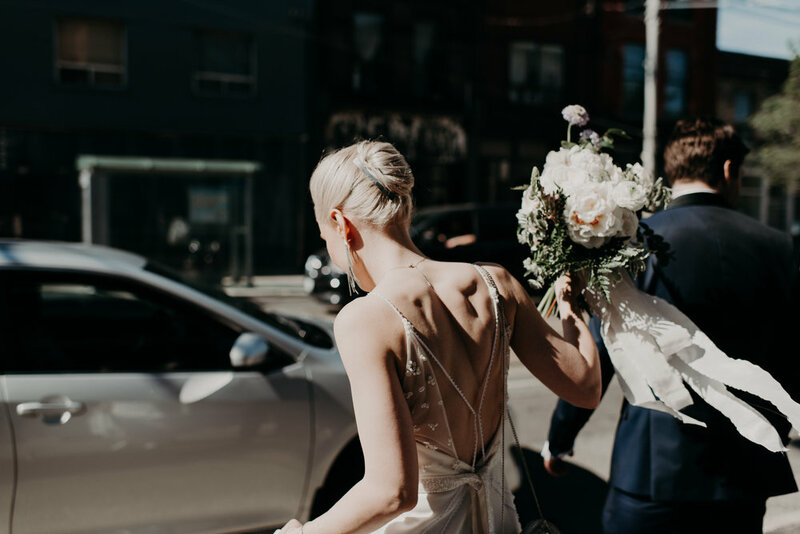 Her flowing gown was not only effortless with a horse hair hem but also came with a removable skirt to reveal the bride's silhouette in a form-fitting gown underneath. 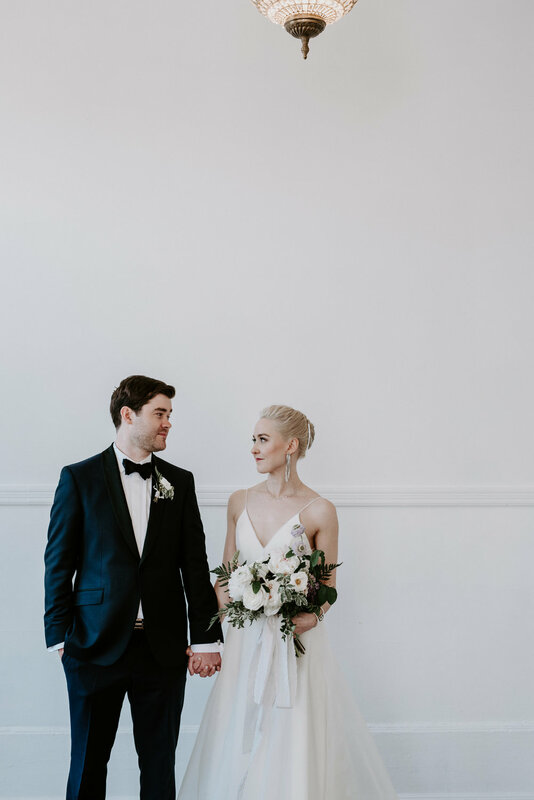 The groom looked just as amazing in a perfectly tailored suit from Ted Baker. 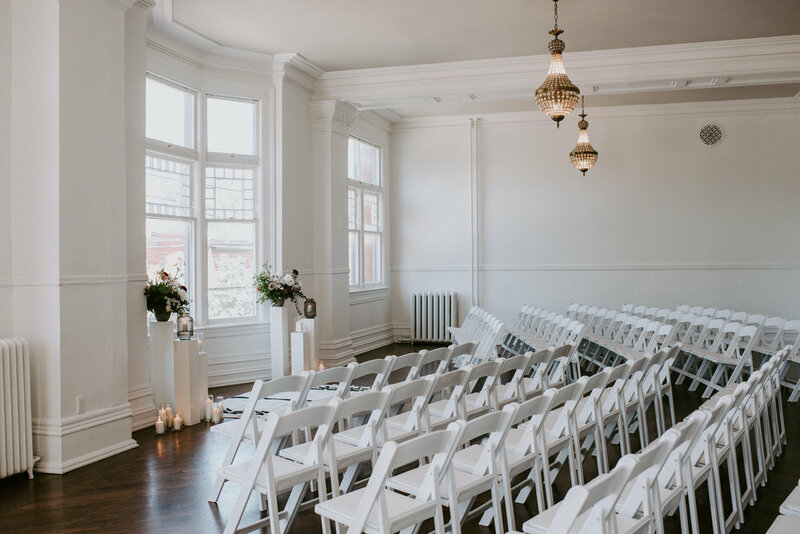 The ceremony was held in the historic while modern Conversation Room of the Great Hall with its white everything and huge bay windows. The cocktails and party was held not too far away at the sun-filled Aperture Room with huge skylights and industrial accents. 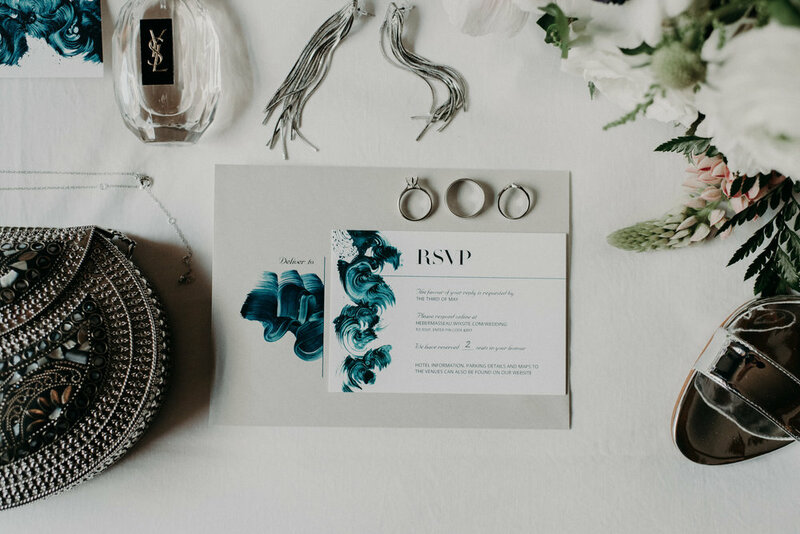 This wedding was the embodiment of urban romance; cool and candle-lit. The bride dyed her own table runners that turned out a beautiful muted lavender and grey blend. 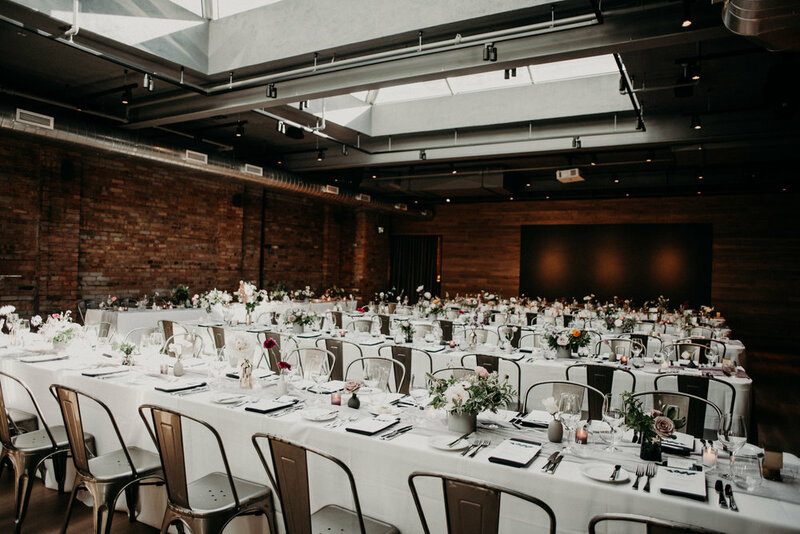 Minim Designs did such an amazing job to complement the style with the muted florals with pops of seasonal colours in a variety of unique grey and gold containers the bride collected. The bouquets were also wrapped in hand-dyed silk ribbons from Stella Wolfe. 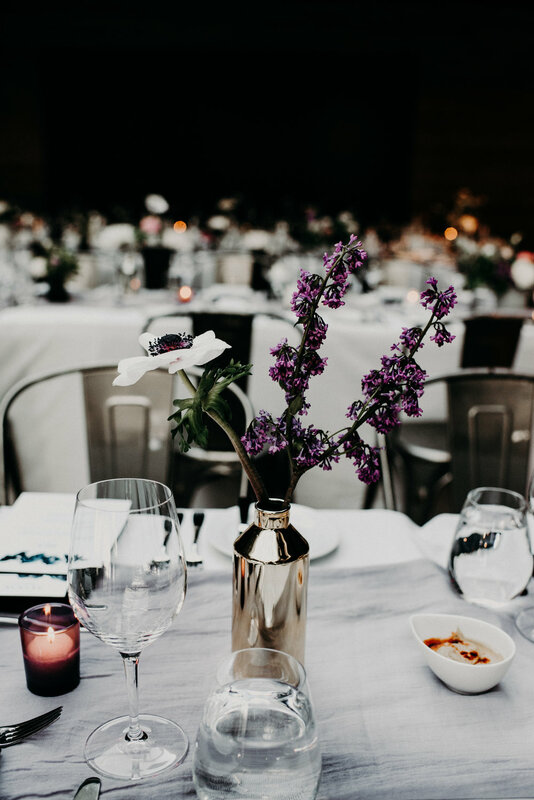 The food and service by Oliver and Bonicinni was phenomenal and since the couple were all about making new traditions, they opted for Krispy Kreme donuts (instead of a cake) along with eclairs and chocolates. 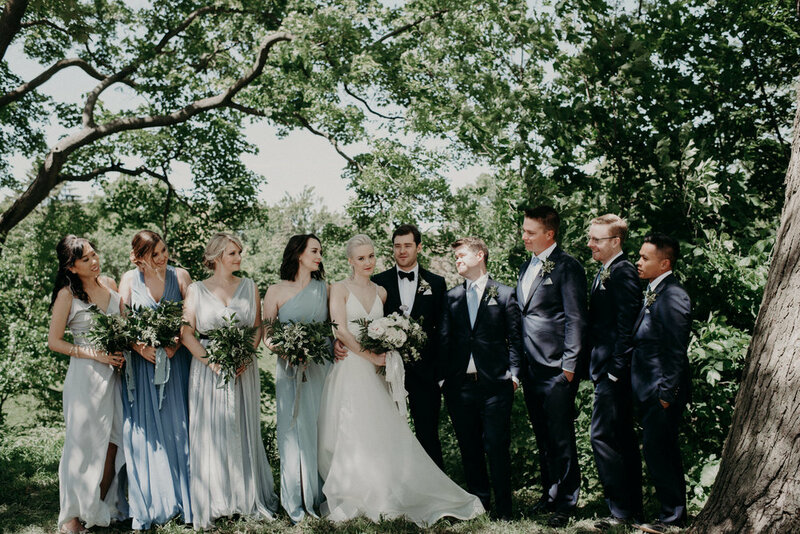 To be honest, I felt a lot of pressure to ensure we executed this thoughtful wedding seamlessly and when I left, Jen gave me the biggest hug and smile that assured me I pulled off the happiest day of their lives. Congrats to you both and thank you for allowing me to not only be apart of your day but for also inspiring me. Scroll down for the stunning images!